Consider wearing a white blazer and navy dress pants for a sharp classy look. 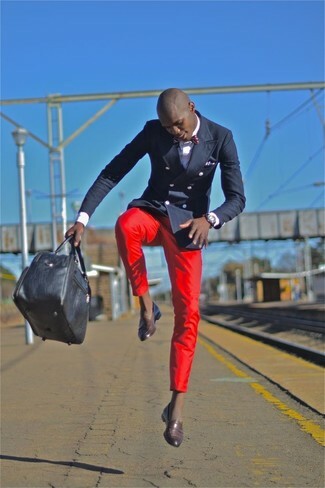 For something more on the daring side to finish off this look, choose a pair of dark brown leather loafers. 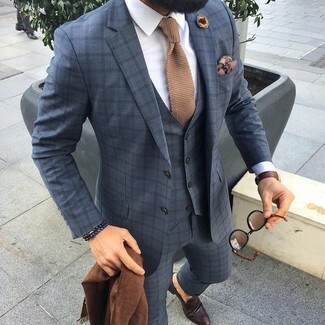 Pair a grey check three piece suit with a white dress shirt for a sharp, fashionable look. Rock a pair of Prada spazzolato penny loafer brown for a more relaxed aesthetic. So as you can see, ensembleing on-trend doesn't require that much effort. Just consider pairing a navy double breasted blazer with red chinos and you'll look incredibly stylish. 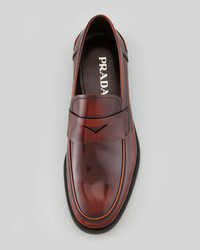 Prada spazzolato penny loafer brown will deliver more playfulness to your getup. Consider teaming a navy suit with a navy polo like a true gent. For something more on the daring side to complete this look, choose a pair of Prada spazzolato penny loafer brown from Neiman Marcus. 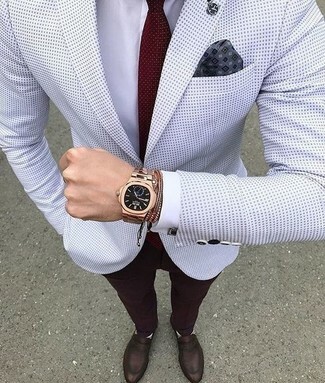 Pair a white polka dot blazer with burgundy dress pants for a sharp, fashionable look. Want to go easy on the shoe front? Rock a pair of Prada spazzolato penny loafer brown for the day. 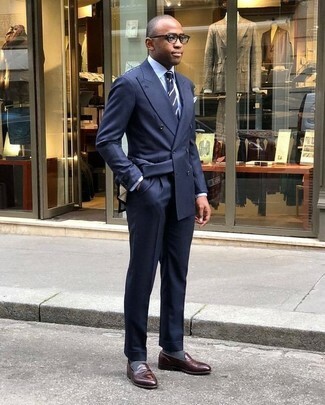 For a nothing less than incredibly stylish look, consider teaming a navy double breasted blazer with navy dress pants. Break up your ensemble with more casual shoes, such as this pair of Prada spazzolato penny loafer brown from Neiman Marcus. Marry a grey wool suit with a mustard crew-neck sweater for a classic and refined silhouette. For something more on the daring side to round off this look, throw in a pair of dark brown leather loafers. 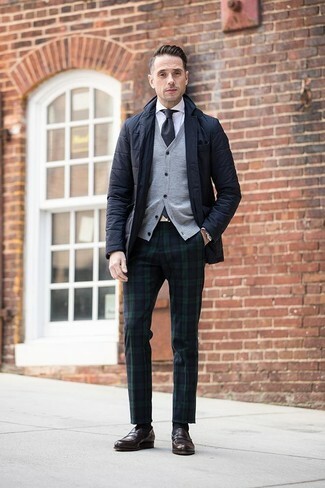 For a nothing less than incredibly stylish ensemble, pair a black quilted blazer with navy and green plaid dress pants. 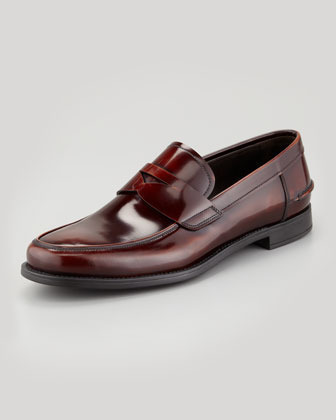 For something more on the daring side to complement this outfit, opt for a pair of Prada spazzolato penny loafer brown. 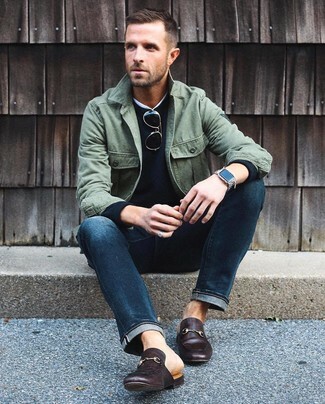 If you're scouting for an off-duty yet sharp look, pair an olive shirt jacket with navy jeans. If you want to easily lift up your look with one item, add Prada dark brown leather loafers to the equation.